ServiceMaster Swansea are proud to announce that Lianne Davies one of our two full-time contract managers has been awarded her NEBOSH National General Certificate in Occupational Health and Safety. Lianne Davies started working towards this accreditation towards the end of 2017 by completing an online course through distance learning. After completing a number of hours of revision and examinations Lianne officially gained her certificate on the 14th February 2018. 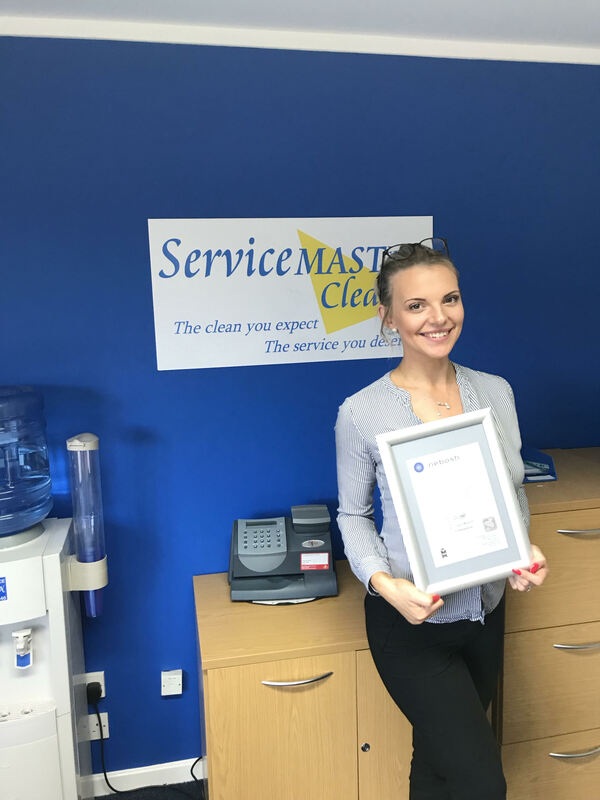 ServiceMaster would like to take this opportunity to congratulate Lianne on gaining this accreditation as we understand the hard work and dedication that went into completing the course. The experience and knowledge that Lianne gained throughout the course has already been put into practice within our working environment. Well Done Lianne!